For maintenance purposes pipelines have to be checked on a regular basis with the help of inspection tools searching for damage such as deformation, corrosion or leaks. During this inspection it is especially important to determine the exact location of the inspection tools in the pipeline, as this can significantly reduce the scope of neces­sary repairs. Im­precise location of the damage can make it necessary to clear a large area of the pipe­line, result­ing in much greater repair costs. 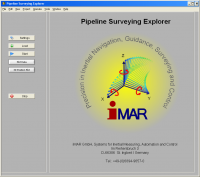 With the help of Inertial Navi­ga­tion Technology the position of a pipeline inspection tool in a pipeline can be exactly de­termined. To achieve this, the inspection tool is coupled with a in­er­tial Pipeline Surveying Tool (iPST) con­sisting of three gyro­scopes, three accel­erometers, odo­meters and an electronic device for signal process­ing. The gyro­scopes are used to de­termine atti­tude and heading of the iPST. The acceler­ome­ters and the odometers are used to deter­mine the transla­tional mo­tions. All data are proc­essed using a filter which also per­mits addi­tionally avail­able ex­ternal aiding in­for­mation for data proc­ess­ing. The iPST-FMS contains fiber optical gyros of class 1 deg/hr. The di­ameter and length depends on the envi­ronmental condi­tions. The accel­er­ometers used have 5 g range and 10 µg resolu­tion. 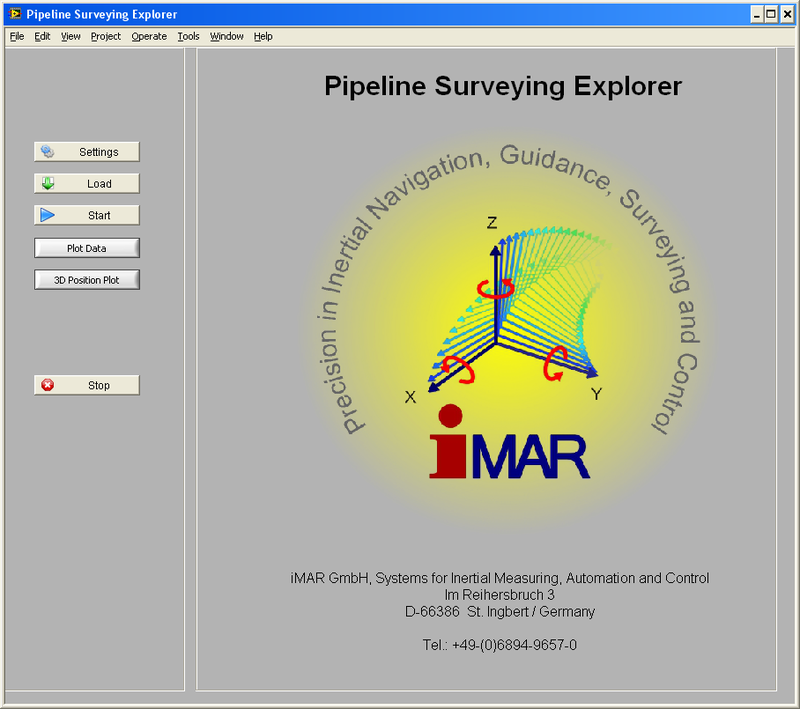 The software iPSE Pipeline Surveying Explorer is available for operators and maintenance organizations of pipelines to process the acquired inertial / odometer / marker data and to obtain the required trajectories from them.